In this adaptation of Jean Redon’s novel comes one of the finest films about image and madness told with such style by Georges Franju. It revolves around a scientist trying to restore his daughter’s disfigured face by taking the skin of other young women. 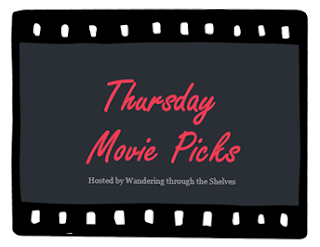 Featuring Edith Scob as the disfigured young woman Christiane who often has to wear a mask, it is an unusual horror film in comparison to many of today’s conventions yet it has a lot of dramatic elements that makes the film so fascinating. 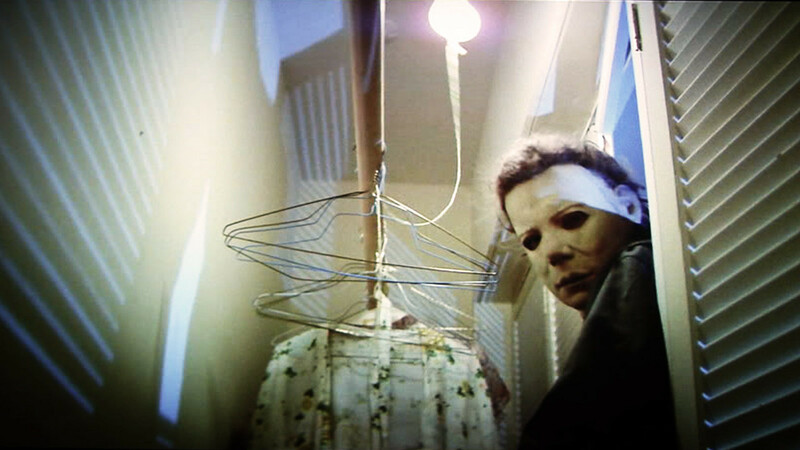 One of the seminal films of the modern-day horror genre comes from the legendary John Carpenter as it is considered the film that began the slasher sub-genre. 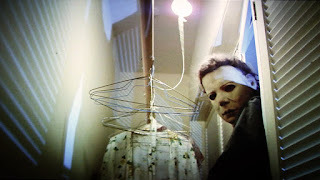 All revolving around on Halloween, the film revolves around a troubled young man named Michael Myers who escapes a sanitarium and kills whoever gets in his way. It’s definitely one of the great films of horror as it would spawn sequels, remakes, and all sorts of things proving how influential this low-budget film would be. Not a conventional horror film in comparison with other films of the genre nor does it come from a filmmaker who is known more for making art-house dramatic films. Nevertheless, Pedro Almodovar’s adaptation of Thierry Jonquet’s Tarantula is truly one of his best films as well as showing a director still displaying that air of danger that he had been known for early in his career. It revolves around a doctor trying to create artificial skin that can resist burns, insect bites, and other things by using a woman as his lab rat of sorts. Featuring career-defining performances from Antonio Banderas, Elena Anaya, and Marisa Parades, the film definitely recalls Eyes Without a Face as well as the films of Alfred Hitchcock but it’s all Almodovar in terms of its visual style and provocative elements in the story. I found Eyes without a Face fascinating without being able to say that I really enjoyed it. Disquieting is a good word for its overall effect. It isn't something that I normally would have sought out but its reputation and the fact that it starred Alida Valli who was a big European star at the time this was made gave me the confidence that it wasn't some run of the mill horror flick. It wasn't but I'll never watch it again. I didn't love Halloween when I saw it in the theatre but it did spook me. Looking back on it now it's head and tales over most of the junk that it inspired. Haven't seen The Skin I Live In though I've been tempted by its pedigree. Maybe some day. Horror isn't one of my favored genres so this month will present its challenges. I managed this week by choosing three versions of a scary tale that I am a fan of. The Phantom of the Opera (1925)-Moody, expressionist original version of the Gaston Leroux novel tells the tale of a disfigured man (Lon Chaney) who resides under the Grand Opera House of Paris and becomes enamored by a young singer (Mary Philbin). He becomes obsessed with making her a success resorting to extremes to bring that about. Contains a most impressive color sequence which considering it’s almost 100 years old is beautifully composed from the primitive elements available at that time. There have been many versions but this remains a singular experience thanks to both Chaney’s self-designed makeup hidden for most of the running time behind a mask and skill at expressing emotion through it. The Phantom of the Opera (1943)-Rejiggering the origin story somewhat this version starts with opera violinist Erique Claudin (Claude Rains) hopelessly in love with raising soprano Christine DuBois (Susanna Foster) who is also pursued by baritone Anatole Garron (Nelson Eddy) and police inspector Raoul Daubert (Edgar Barrier). Claudin secretly sponsors Christine’s vocal training until he is dismissed due to arthritis in his hands. Having submitted a concerto to an unscrupulous publisher Claudin discovers his work stolen and in a fit of anger strangles the man just as his assistant enters and throws a tray of acid in Claudin’s face. Permanently scarred he dons a mask and haunts the cellars of the opera house pursuing his goal to make Christine a star at any cost. Incredibly lush looking film was nominated for four Oscars. Unsurprisingly Rains is excellent and both Eddy and Susanna Foster were major opera stars of their day so the performance sequences are solid. The Phantom of the Opera (2004)-Filmed take of the enormously successful Andrew Lloyd Webber version does not capture the magic that was present onstage. Curiously inert considering the entire thing is sung and staged for movement with the mask once used to hide the phantom’s disfigurement far more aesthetically pleasing now that he has been transformed into some sort of romantic stud ideal. Considering he’s not a trained singer Gerard Butler does well enough in the lead but you’ll miss Michael Crawford soaring power on the songs. The rest of the cast is efficient but unmemorable except for Minnie Driver who has fun as the bitchy diva Carlotta, though her voice is dubbed. I love Halloween! The Skin I Live In was good too, but I had had the ending spoiled for me ahead of time and now I always wonder if I would've been shocked at the big reveal or not. Halloween is a classic. No argument there. The Skin I Live In is fantastic...and definitely a horror flick in my book. Almost picked it, myself. @joel65913-I actually enjoyed the 2004 version of Phantom of the Opera which features Gerard Buttwad in a performance I can tolerate. See The Skin I Live In as it's a must if you're into Almodovar. 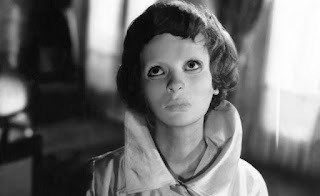 @Birgit-Eyes Without a Face and The Skin I Live In is a great double-feature. @Brittani-Whoever spoiled that ending for you should be killed. Yet, it is worth re-watching once you knew what had happened as it just adds so much twisted ideas in the film. @Wendell-I'm glad someone here thinks highly of The Skin I Live In. Nothing like a scary mask to send shivers down the spine.